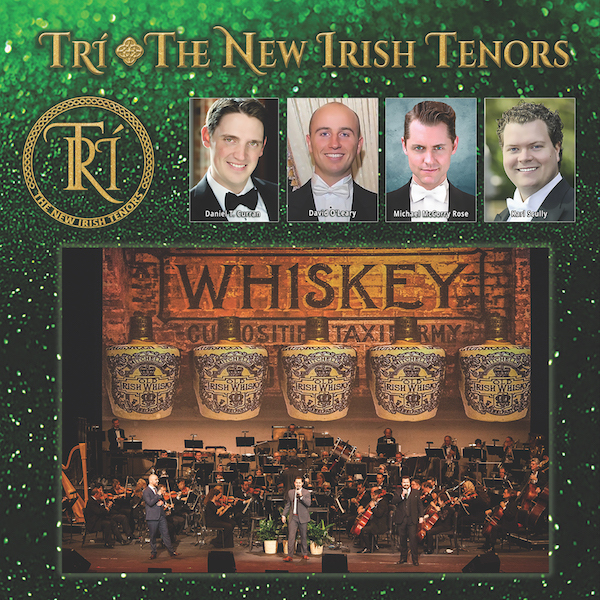 TRI – THE NEW IRISH TENORS | Love Productions Inc. The beautiful voices of Three Irish Tenors singing the glorious repertoire in the Irish tradition and the introduction of new songs that keep the Irish Tradition relevant for today’s audiences. TRI – The New Irish Tenors are the next generation of Irish storytelling. Come and hear your most treasured Irish and international tunes sung with an Irish heart and American vigor. These acclaimed Irish singers, who have graced stages internationally, come together in this amazing theatrical, multi-media show creating an enchanting evening of entertainment.